Wow! 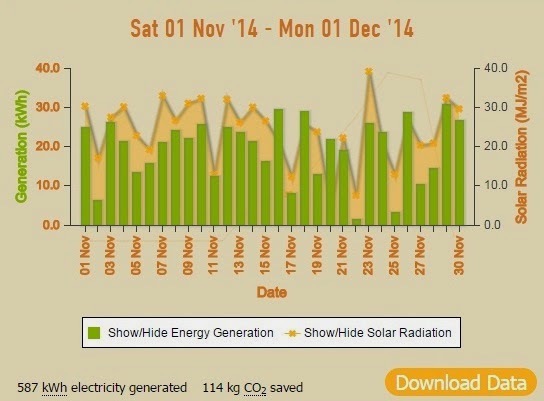 587 kWh electricity generated and 114 kg CO2 saved! November has certainly been the sunniest month - so far!